Macular degeneration mainly affects central vision, causing "blind spots" directly ahead. Currently, it appears the best way to protect your eyes from developing early (dry) macular degeneration is to eat a healthy diet, exercise and wear sunglasses that protect your eyes from the sun's harmful UV rays and high-energy visible (HEV) radiation. Choroidal neovascularization (CNV), the underlying process causing wet AMD and abnormal blood vessel growth, is the body's misguided way of attempting to create a new network of blood vessels to supply more nutrients and oxygen to the eye's retina. Instead, the process creates scarring, leading to sometimes severe central vision loss. • Occult. New blood vessel growth beneath the retina is not as pronounced, and leakage is less evident in the occult CNV form of wet macular degeneration, which typically produces less severe vision loss. • Classic. 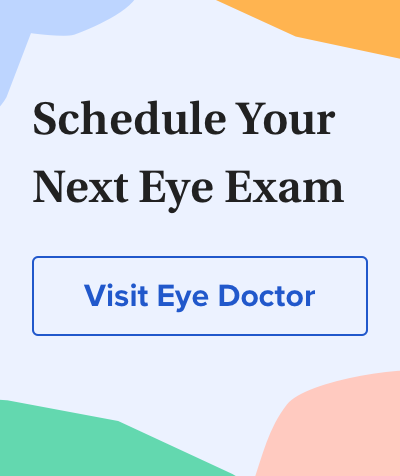 When blood vessel growth and scarring have very clear, delineated outlines observed beneath the retina, this type of wet AMD is known as classic CNV, usually producing more severe vision loss. Specific variants of one or both of these genes, which play a role in the body's immune responses, have been found in 74 percent of AMD patients who were studied. Other complement factors also may be associated with an increased risk of macular degeneration. Lighter eye color. Because macular degeneration long has been thought to occur more often among Caucasian populations, particularly in people with light skin color and eye color, some researchers theorized that the extra pigment found in darker eyes was a protective factor against development of the eye disease during sun exposure. But no conclusive evidence as yet has linked excessive sun exposure to development of AMD. A small study reported in the British Journal of Ophthalmology (January 2006) found no connection between the eye disease and sun exposure. In fact, the same study found no relation at all between lighter eye color, hair color and AMD. That finding is contradicted by several earlier studies indicating that lighter skin and eyes are associated with a greater prevalence of AMD. Your eye doctor may ask you to check your vision regularly with the Amsler grid described above. Omega-3 long-chain polyunsaturated fatty acid intake and 12-year incidence of neovascular age-related macular degeneration and central geographic atrophy: AREDS report 30, a prospective cohort from the Age-Related Eye Disease Study. American Journal of Clinical Nutrition. December 2009. Ferri's Clinical Advisor 2009, 1st ed. Age-related macular degeneration. Ophthalmology, 3rd ed. 2009. Complement C3 variant and the risk of age-related macular degeneration. New England Journal of Medicine. August 2007. *The epidemiology of age-related macular degeneration. Archives of Ophthalmology, April 2004. Dietary fat and fish intake and age-related maculopathy. Archives of Ophthalmology. March 2000.